The clothing of Kings always enhanced their status, and no commoner could hope to wear something so sumptuous as this intricate chain of knotwork. Once embroidered on the robe of a King, now it can be a tattoo leg band forever on the calf of a member of our free democratic society. 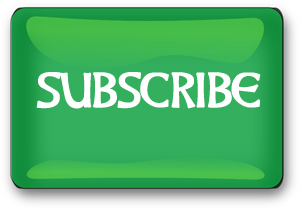 Shown here with the internal cross pattern emphasized in green. 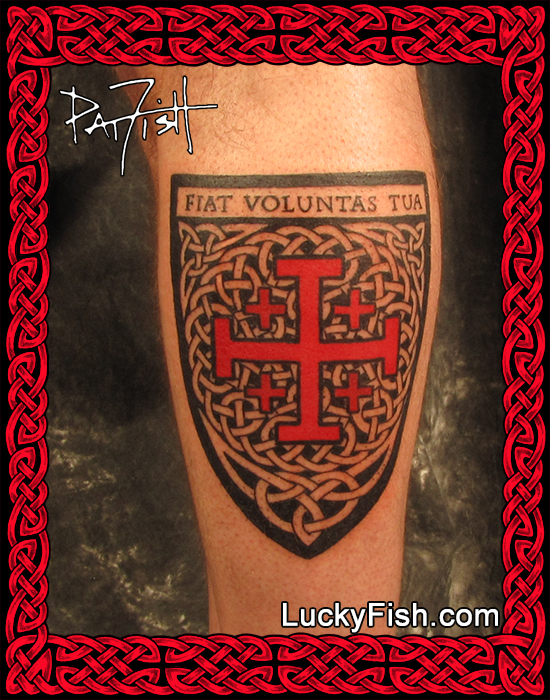 The evocative image of a red Crusader cross placed inside a shield on a leg calf was today's challenge. The Latin text in the bar above is from the Lord's prayer FIAT VOLUNTAS TUA, "Thy will be done." Also known since c.1280 as the Jerusalem cross, it is a five-fold cross, here encircled by a custom weave of Celtic knotwork, shaped to fit the heraldic shield.